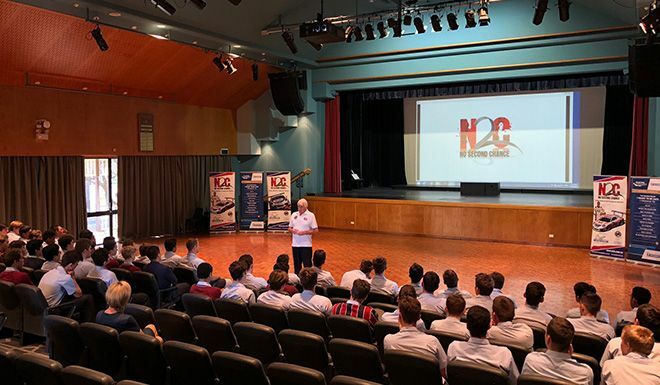 Our most recent N2C presentation was at The Southport School (TSS) on the Gold Coast on Friday 17th August. Founded in 1901, TSS is an Anglican day and boarding school on the Gold Coast for boys from Prep Year to Year 12 with boarding available from Year 5. The Southport School is a known as a world-class school for boys with a Christian learning community in the Anglican tradition. Their philosophy is to nurture outstanding young men who are confident, healthy and responsible, with advanced skills in academics, creativity, and higher order thinking. We first presented at the school in July 2013. 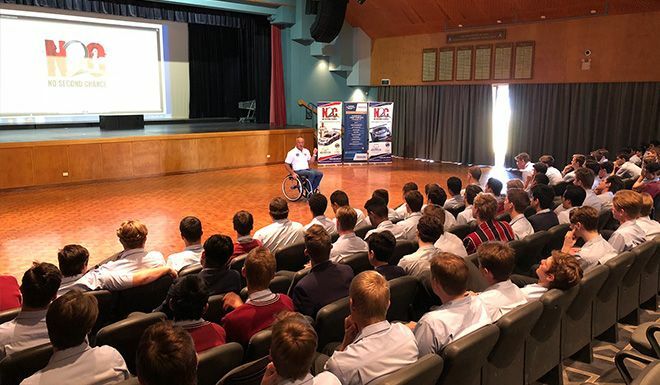 After the presentation, Mike Wallace, the Year 11 and 12 Leadership Program Coordinator asked us to “please come back every year for the next ten years”, so this was our sixth visit to the famed school. 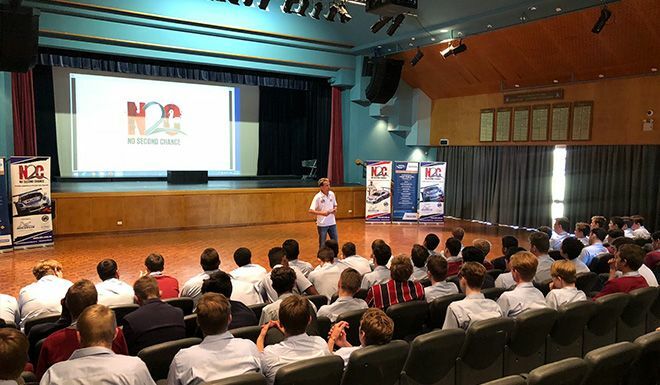 At our first presentation to TSS in 2013, Jaxon Evans was a year 12 student and was racing go-karts with N2C logos on his side pods. 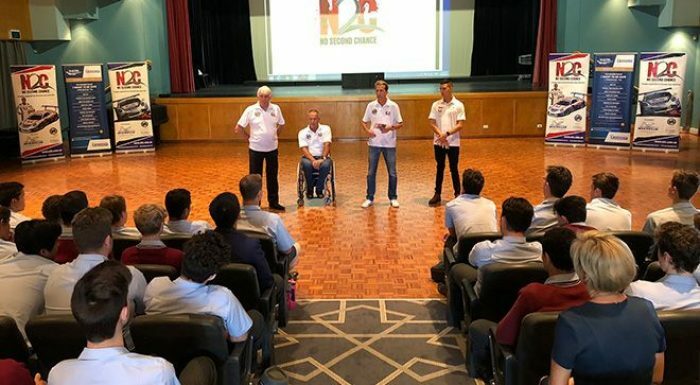 It was most fitting that 5 years later he returned to the school as the current leader of the Australian Porsche Carrera Cup championship and a terrific example of “making smart decisions and living your dreams”. The students were clearly impressed with Jaxon’s achievements and had plenty of questions for him. Our next presentation is at Viewbank College in Melbourne in September.